Recommended Grain: Any small or large grain. Not every meal needs to include elaborate ingredients and planning ahead. If your pantry and freezer are stocked it is easy to prepare a healthy meal with what is on hand and with little preparation. This dish can decrease food waste by making use of vegetables that have not found a meal to call home during the week. Choose a legume, a grain, a few vegetables and seasonings to have an easy meal in minutes. Some vegetables that add nutrients, textures and flavor include asparagus, cherry tomatoes, green beans, spinach, peppers, radicchio, mushrooms, cabbage, collard greens, Bok Choy, kale, Brussels sprouts, corn, broccoli, carrots, celery, peas, winter squash and summer squash. Legumes can include kidney beans, pinto beans, lentils, black beans, lima beans, navy beans, peas and Garbanzo beans. Peas are technically a legume but are often recognized as a vegetable and can be used interchangeably. Corn is classified as a grain but can also be incorporated as a vegetable. View the whole grain list under the Farmacy tab to become more familiar with the available whole grains. If you are looking for quick cooking grains try quinoa, farro or wheat berries. McCormick's Perfect Pinch seasoning blends are the easiest to find at the grocery store but are manufactured by a huge company and sometimes have questionable ingredients. I encourage you to buy organic and nontraditional brands when you have the opportunity. If you are trying to limit your sodium intake try one of Mrs. Dash's seasoning blends. Directions: Cook the whole grain according to the basic directs in a medium sauce pan. The vegetable medley will usually take 10 to 15 minutes. 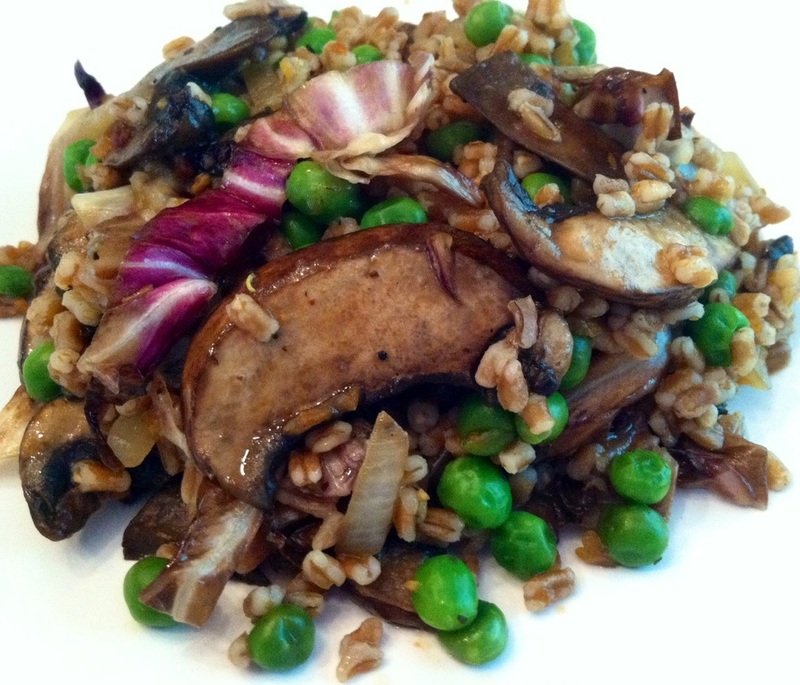 The starting time for sautéing the vegetables will be determined by the cooking time of the chosen whole grain. Read the directions to ensure the both the vegetables and the whole grain finish around the same time. In a large sauté pan heat the oil on medium. Chop and add the onion and garlic to the heated pan. Season with a pinch of salt and pepper. Stir and cook until translucent. Add the chosen vegetables and cook until softened. Next add the legumes and garlic. Season with salt and pepper and dried herb or a seasoning blend. Stir to combined. When the whole grain is finished cooking add it to the vegetables in the sauté pan and stir to combined. Turn off the heat and adjust the seasoning to taste.